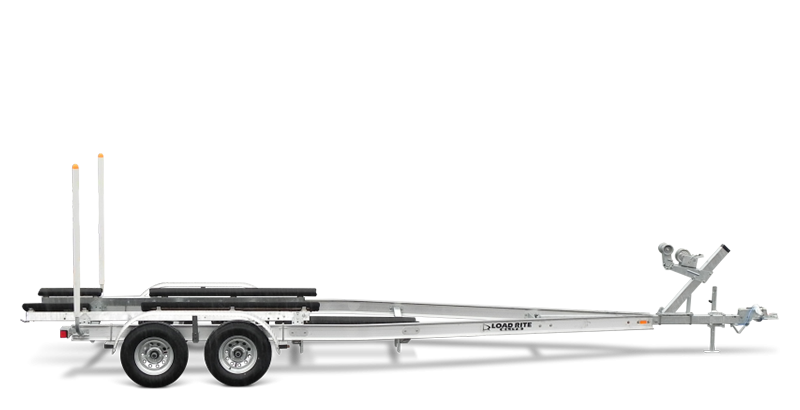 Load Rite’s AB Bunk trailers feature our patented aluminum I-beam frame, which provides maximum strength and stability in weight-saving, corrosion-resistant aluminum construction. It features gutters to protect and conceal wiring and brake lines and integrated fastener channels for axle and fender mounting to minimize unsightly U-bolts straddling the frame. Load Rite’s bunk system provides the most adjustability and the best support of any bunk design on the market today, thoughtfully designed with space between the front and rear bunks to accommodate sling loading. Adjustable vertically and horizontally, the bunks provide far better support than traditional solid wood bunks. 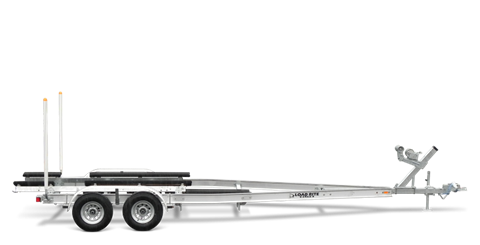 Target bunks on tandem and triaxle models provide an extra measure of fit and precaution when loading at the ramp.